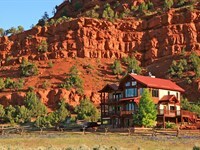 The Corona Ranch in Northwest Colorado is located just south of Hayden, Colorado on the South Fork of the Williams Fork River. 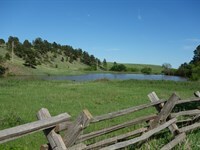 This 1480 acre ranch is 30 minutes to the town of Hayden and the Hayden/Steamboat International Airport. It is just under an hour from Steamboat and Craig, Colorado on good roads. 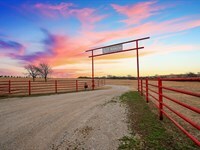 This ranch has beautiful terrain with great long and short ranch views. It is the perfect place to get away. 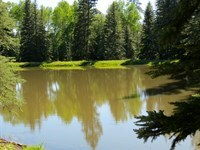 Good access to county roads and the nearby towns of Hayden, Steamboat and Craig offer all of the necessary amenities. Steamboat Springs is a world class destination with excellent winter and summer activities. This property is very protected and kept private by steep terrain, Indian Run Wildlife Area and the River. This 1480+- acre parcel offers excellent elk hunting and very good mule deer hunting. The access adjoining Indian Run State Wildlife area allows for the ranch to hunt huge. The public access to Indian Run is such that animals are pushed towards the Corona Ranch at the beginning of each season. This area of Northwest Colorado is home to the White River Herd of elk, the largest population of elk in the world. The ranch is located in game management unit 12 and offers over the counter elk tags for archery, and 2nd & 3rd rifle seasons. Hunting success for legal bull elk is virtually 100 percent depending on season and hunter ability. The deer hunting on the ranch offers good opportunities for mule deer, however it is in a draw unit. The property is a mix of open bottoms with oak brush, pines and aspens. 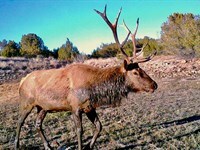 It offers excellent bedding areas with good water and seclusion for the elk. The ranch has a good population of black bears and also offers good predator hunting and some grouse. The south fork of the Williams Fork River is a good small trout fishery and offers good action on cutthroat, brown, brook and rainbow trout. There are great public fishing opportunities in the area on the National Forest and the Yampa River just 30 minutes north. The current owner has done a great job with improvements. The ranch has a main home with three bedrooms and three baths and a very well-appointed commercial kitchen with many upgrades. There are two very nice bunkhouses next to the main cabin and rustic cabin that has been completely restored. This camp is excellent for hosting friends and family and offering outfitting potential on elk and deer hunts. Corona Ranch is truly just right with great location, pristine beauty and excellent improvements. This legacy property is a must see. Please call Dax Hayden for a private showing. 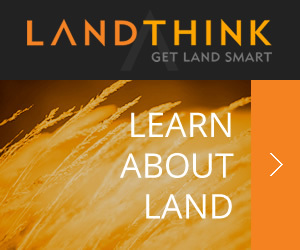 When calling broker, please say, "I found your listing Corona Ranch on FARMFLIP."